If you’ve seen my Instagram account, you probably know that I like wine. 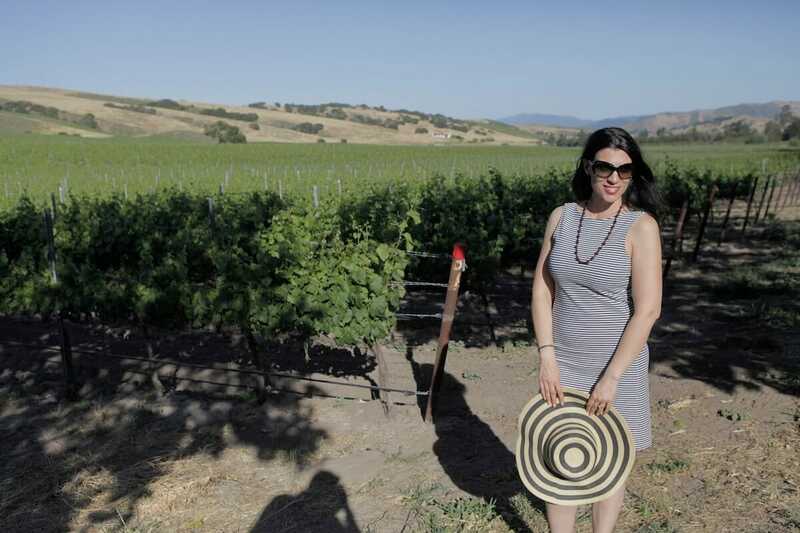 One of my favorite places to visit is the Santa Ynez Wine Country, north of Santa Barbara. 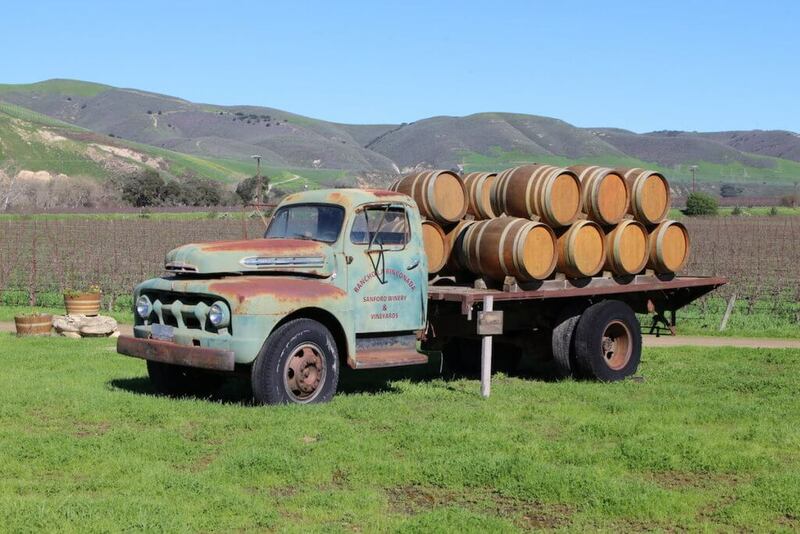 The first time we ever went to the Santa Ynez Wineries was in January 2015. My husband has always been enamored with the movie Sideways, so I decided to take him on a “Sideways tour”. I got us a private tour of Sanford Winery; we went to dinner at the Hitching Post II and had breakfast at Succulent Café, all from the movie. These 3 are still on my go-to list, but that list has gotten MUCH bigger. We go at least 2 times a year…probably more. In my experience, I always think that you should do no more than three wineries in a day. After a certain number of wine tastings all wine tastes the same, and it can lead to some really bad decisions. I know because I still have some crap sitting in my wine cellar. Another one of my favorite activities is to get a picnic together and relax on the beautiful winery grounds. 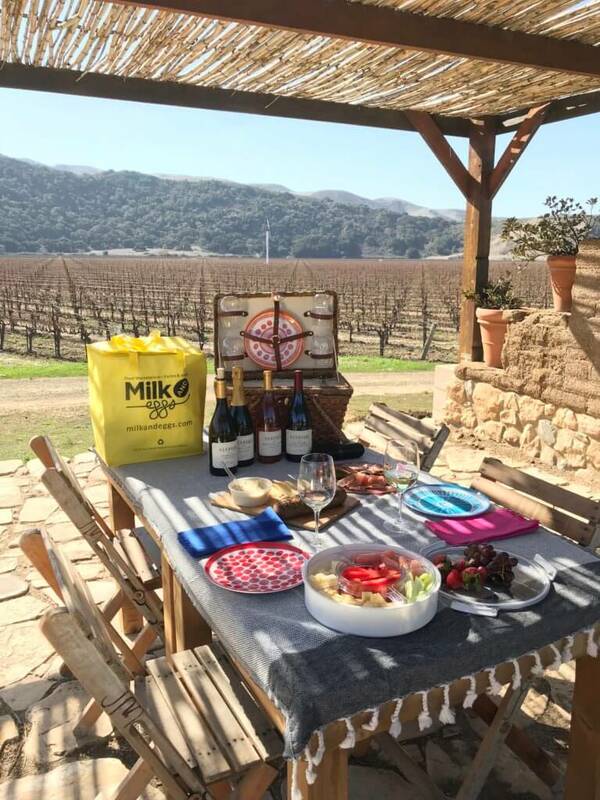 Picnics tend to slow things down a bit, just in case some of your fellow wine tasting buddies are into swigging their wine down and moving on to the next winery…not my favorite. What’s the point of going to these beautiful places if you’re just going to down your tastings like frat boys doing shots at a party? 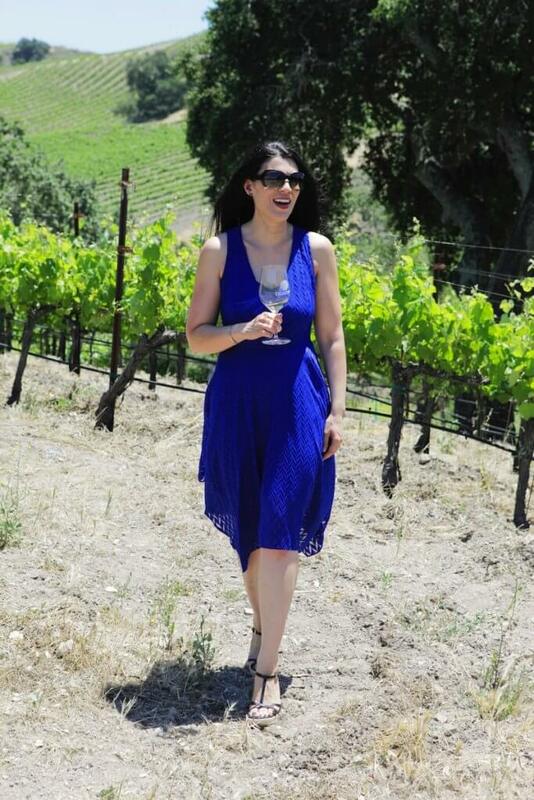 While I’m far from an expert, I do like to take my time and savor the wine, the moment and the beautiful surroundings. All of the winery recommendations below have picnic areas and offer a comfortable place to relax while you’re doing your wine tasting. Sanford Winery & Vineyards – As I mentioned above, Sanford winery was the first winery that my husband and I came to in the area. We had a private tour of the facility that included a barrel tasting and picnic at the beautiful estate. My husband and I fell in love with the area and the wine and became members. Since then we have been to numerous events at the winery, including a sustainable wine benefit dinner for the Los Angeles Zoo. Our favorite event by far is the Annual Pinot Blending and Lobster Feast. We always have a wonderful time and meet other great members. Sanford pioneered growing wine grapes in this region of California and continues to be a standout wine. Wine Enthusiast consistently lists Sanford wines above 90 points. I am a fan of their Chardonnays and Pinot Niors. 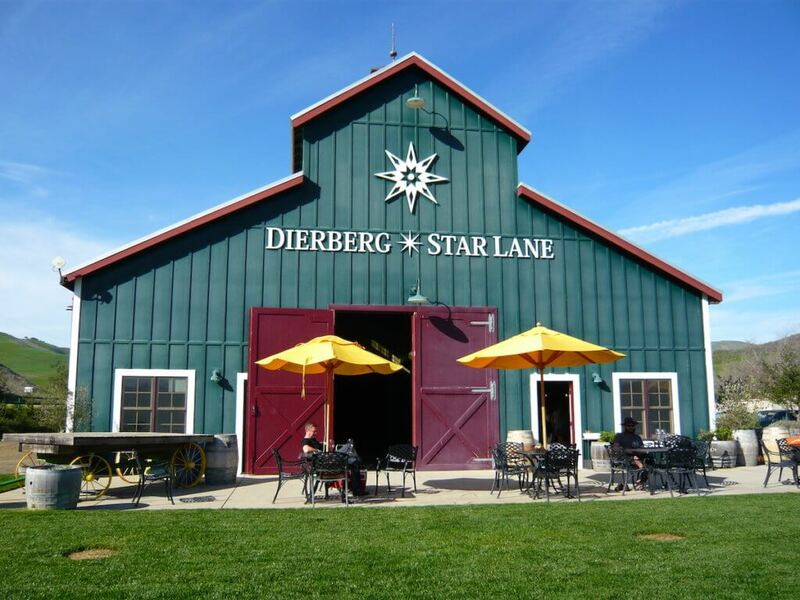 Dierberg • Star Lane Vineyards – The wine is great, the location is beautiful and we always meet nice people to chat with. If you go, please say hi to our friend who is now the tasting room manager, Sonja and her pup Tank. I really like the sauvignon blanc at this winery and don’t usually like sauvignon blanc, so it has to be good. The tasting room has been renovated, and now offers ample space to hang out. The barn at Dierberg-Star Lane Vineyards- a great place to picnic. 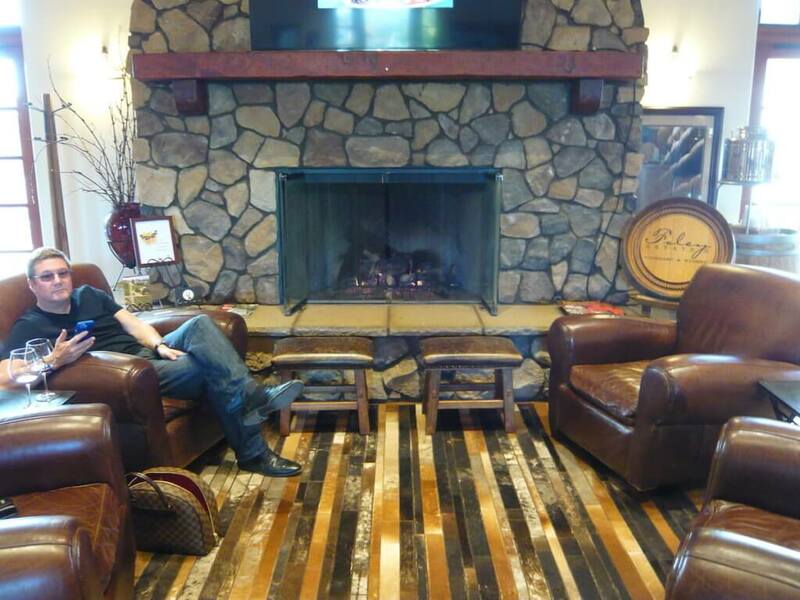 Foley Estates Vineyard & Wine – This winery has a ton of seating in either the front patio, back patio or tasting room. It’s great any time of year because they have comfy leather chairs right in front of the fireplace for the winter or outdoor patio areas to take in the views. My favorite wines here are the JA Ranch Pinot Nior and the Two Sisters Chardonnay. 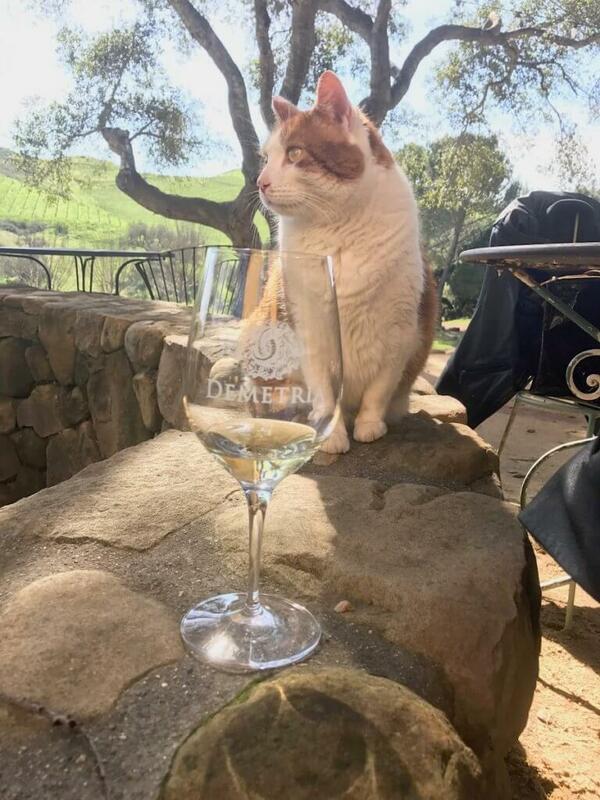 We are members of this winery as well, which also includes reciprocal membership and free tastings at any of their family of wines in Napa, Sonoma, Paso Robles and Santa Ynez. Cozy chairs and fireplace at Foley. Sunstone Vineyards and Winery – This beautiful property has a French Provençal air about it. This winery is also committed to organic, bio-sustainable farming. When we do a tasting here, I like to sit in the chairs on the front porch. Bridlewood Estate Winery – The grounds are beautiful, from the canopied entrance of the estate, to the expansive grass for picnicking and tasting. 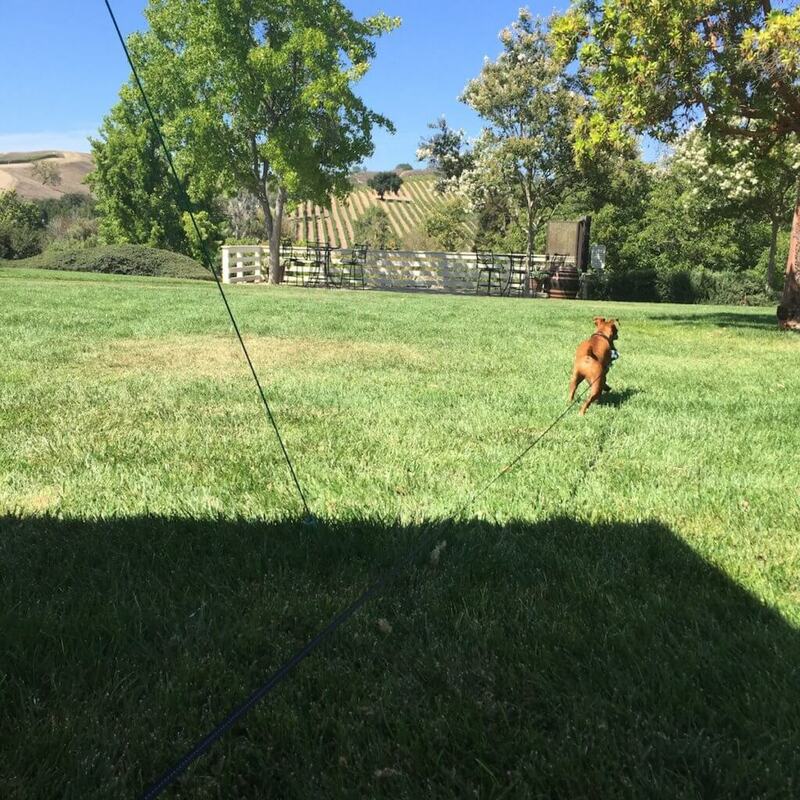 I really like the concrete aged chardonnay and Beau (one of my dogs) loves the large grassy lawn for running. Our pup Beau loves the grass at Bridlewood. 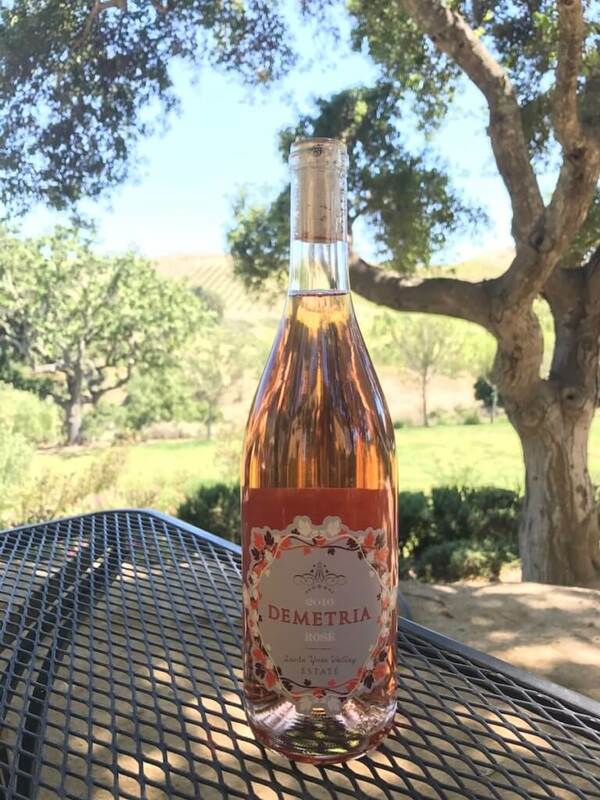 Demetria Estate Wines– Please be warned, you have to make a reservation as they have limited space available When you get to the front gate of the winery on Foxen Canyon Rd, you will have to dial from the keypad to get buzzed in. The road to the winery is about 2 miles on a small, windy road and can take up to 15 minutes to reach the tasting room so get there early. Mark, one of the staff, is great; we’ve been here 3 times and are always been lucky enough to get him as our wine guide. He likened the road coming up to the estate to Mr. Toad’s Wild Ride (a favorite childhood book for me). This winery has a beautiful setting and is a great place for a picnic. This winery, like it’s name, is Greek and they use a lot of Greek wine making traditions when creating their wines, very different from the others in the area. We like the 2016 Rose. You’ll meet Tom and many other cats at Demetria. 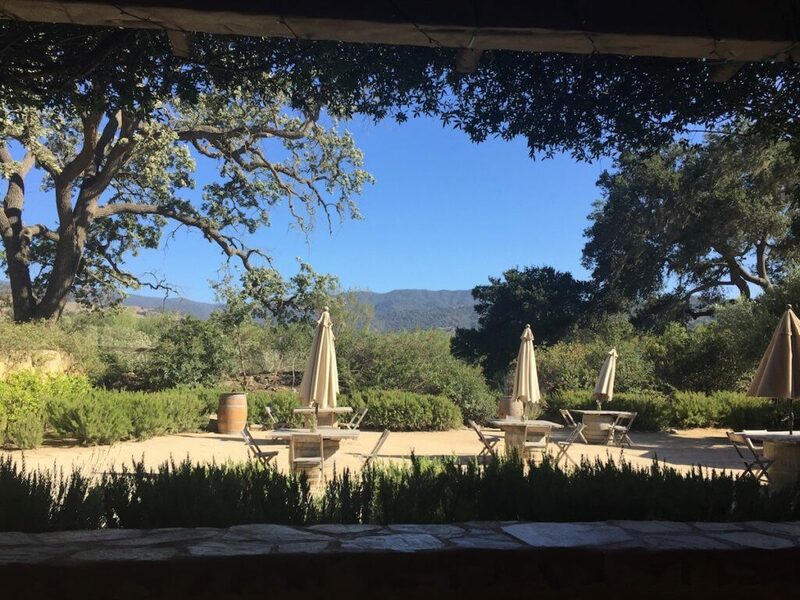 Zaca Mesa Winery – I really like the outdoor space here, they have a giant Jenga game and chess set to play while tasting, as well as, a live bands on the weekends. The tasting room was very large and packed with people vying for a taste, another reason to find a place to park outside. The winery also has a “Zaca University” where you can learn more about the winemaking. 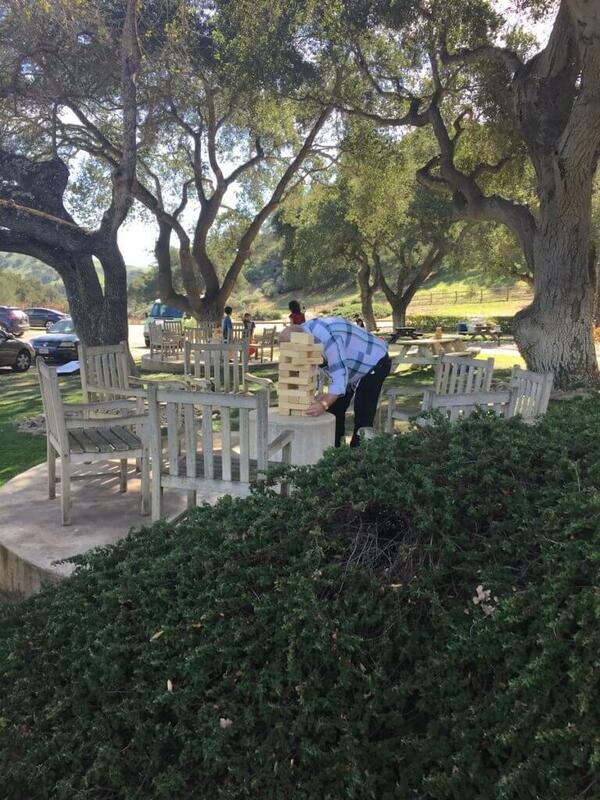 Giant Jenga at Zaca Mesa. Foxen Vineyard & Winery– They have two different tasting rooms for this vineyard. One that tastes their lighter wines (think Chardonnay and Pinot Nior) and they other that concentrates more on their heavier reds (Cabernet Sauvignon). We happened to stumble on the first option, which was perfect for my husband and I since we like whites and lighter Pinot Niors. Los Olivos– The town of Los Olivos is a must, it reminds me of some of the small towns in the Texas Hill Country, were I lived as a kid. Be warned it does close down early, many of the shops and tasting rooms close by 5 or 6 pm. If you want to walk around the town, I would get there well before 5pm. If you’re there for lunch, they have lots of Santa Maria style BBQ pits (I even saw a food truck) going with yummy quick-bite options. There are many tasting rooms in town too. Lompoc Wine Ghetto – I’ve yet to go to the ghetto, but I keep hearing about it all the time. It’s a warehouse district in Lompoc, with several wineries giving tastings out of their industrial locations. Rancho Olivos Olive Oil – We’ve been going here since our first visit in 2015 and we always bring all our friends too. This is currently the only olive oil in our house. I love down-home feeling of the outdoor tasting area and there are always some cute pups to welcome you. The Garlic and Rosemary Olive Oil is our favorite. 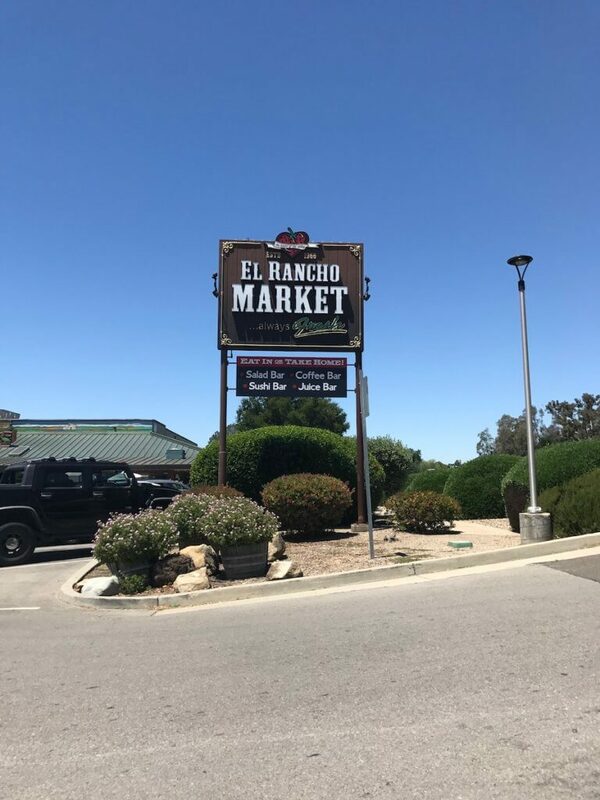 El Rancho Market – This cute little market in Solvang has all your picnic needs. We even picked up a cooler here on one trip. They have a great pre-made selection of foods, as well as charcuterie, cheese and bread or crackers. They have many gluten free and vegan options. Hitching Post II – This place has not been updated in at least 30 years, but the food does not disappoint. Don’t expect swanky digs, but do expect good service and good food, much of it prepared on their Santa Maria grill. Succulent Café – I love the short ribs here, you can have them for dinner and if you come over the weekend you can have them in your breakfast hash. I am delighted every time, except when new management took over and made them non-gluten free for a few months. According to their website, everything is right with the world, and the short ribs are now back to being gluten free. 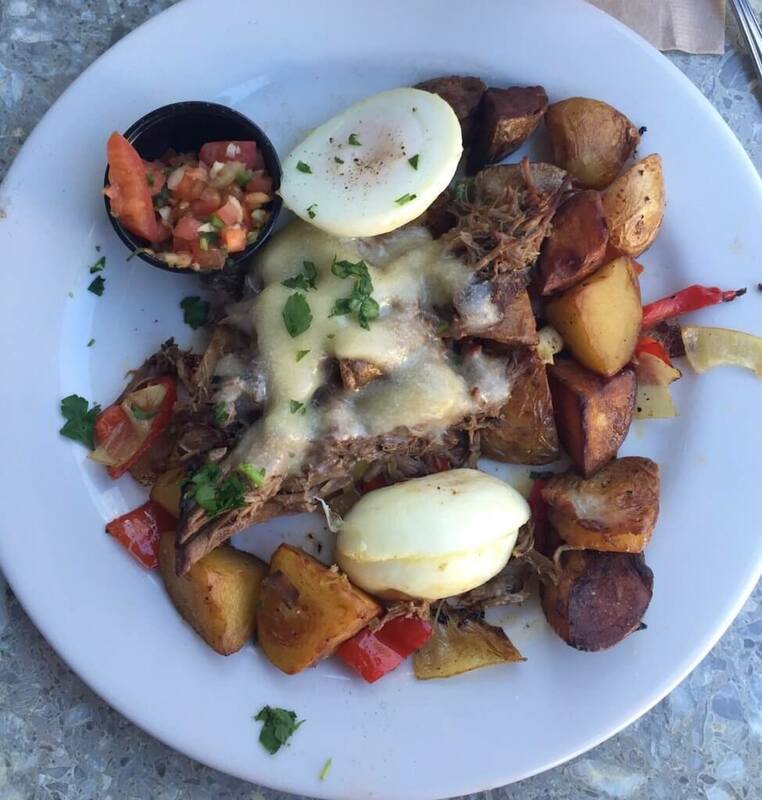 The short rib hash for breakfast at Succulent Cafe. Paula’s Pancake House – This place is great for a traditional breakfast, but come early or be prepared to wait. I’ve never been to this restaurant and not waited. Even in January, we had to wait 10 minutes for a first available outside table. Big crowds often mean that the food is good, with this one, the crowds are right. I would say it’s worth the wait for a good and simple breakfast. Los Olivos Wine Merchant Café – I’m surprised this restaurant didn’t show up on my radar on my first visit, because it’s also in the movie Sideways. We discovered it and the town of Los Olivos on our second visit to the area and fell in love. The restaurant has indoor and outdoor seating, as well as a prix fix Sideways menu that comes with an appetizer, main course, desert and a glass of wine. I love their short ribs (image that). I’ve only been to this restaurant for dinner, but they also have breakfast (on weekends) and lunch. Kronborg Inn – We were pleasantly surprised by the hotel. If you get over it’s kitschy name and exterior (complete with windmill), the lobby looks newly renovated, as do the rooms. We found the room to be quite nice after a long day of wine tasting. Hotel Corque – This hotel is very central and you can easily walk to restaurants, shops and tasting rooms in the town of Solvang. It can be a bit pricier during the weekends and especially during the summer, but it is the most updated and modern hotel we’ve stayed at in Solvang. Hadsten House – This one is dog friendly and comes with free breakfast. We’ve stayed here a few times and have always enjoyed our stay. It too has a great location so you can easily walk to restaurants, tasting rooms and shops. So there you have it…my current Santa Ynez guide. I’m sure I’ll be updating this in the future, so please check back. Thanks Audrey! Please let me know if you take a trip. It’s one of my favorite weekend trips from LA.